It is undeniable that the discovery of antibiotics changed modern medicine. However, from their mass production in 1943, antibiotics have gone from being dubbed the wonder drug to being an issue of serious global concern. Microbial resistance to antibiotics was first documented just four years after they were mass-produced. Seventy years later the picture looks bleak. Bacteria have developed resistance to all known antibiotics. Today we have bacteria that are resistant to multiple antibiotics and we are fast approaching a time when antibiotics just won’t work on some bacterial infections. The economic burden associated with these multidrug-resistant bacteria is high, estimated to cause an economic loss of more than €1.5 billion each year in the EU alone. There are lots of different and complex reasons for the increase in antibiotic resistance but one thing is clear: antibiotic use is associated with resistance. Antibiotics have been so effective at treating infections that we overuse and misuse this medication, resulting in bacterial resistance. You could say that antibiotics are suffering from their own success! But if we’ve caused the problem, can we fix it? We can slow the process down by using the antibiotics we have more responsibly, buying us time to develop more antibiotics. The public play an important role in this process, but recent studies show that there is still public misunderstanding about the activity of antibiotics against microbes and their responsible use. The 2010 Eurobarometer survey found that 83% of respondents across Europe were aware that taking too many antibiotics makes them ineffective, yet the main reason given by respondents for taking antibiotics is to treat flu or a cold — regardless of the fact that antibiotics do not kill viruses. The burden of antibiotic resistance is of global importance, so the United States, Europe, Canada, and Australia address the issue of public misunderstanding through international collaboration. Each run an annual public health initiative in November. The united aim of each of these campaigns is to encourage health professionals and the wider community to learn more about antibiotic resistance and the importance of taking these life-saving medicines appropriately. England, for example, has undertaken numerous campaigns to encourage the public to ask for fewer antibiotics and make GPs more aware of their prescribing behaviour, but the total number of antibiotics prescribed has still gone up by 12% in the past five years. Antibiotics are the most common medication prescribed, and most public awareness campaigns tend to focus on adults, who are the gatekeepers to antibiotic use, yet antibiotic prescription rates are high in children. Few initiatives have targeted children and young people, who are our future generation of gatekeepers and prescribers. Teaching children and young people about the different types of microbes (bacteria and viruses) and the increasing problems of antibiotic resistance associated with unnecessary antibiotic use may not only raise awareness of the issue and influence their future prescribing habits, but may also raise the issue of resistance in the family environment as these children take the messages home to their parents. Various school hygiene campaigns have been shown to reduce rates of infection in schoolchildren, staff, and families, and this in turn may reduce antibiotic use. That being said, school education on antibiotics and antibiotic resistance is poor and varies across Europe from country to country. The information provided to schoolchildren on antibiotics is limited at junior schools, but taught in more detail at the senior level. Education on antibiotic resistance is sparse, with few countries teaching that antibiotic resistance is a serious problem. Eurobarometer findings showed that 15-24-year-olds were the least informed but highest users of antimicrobials. On a positive side, it also showed that they were the most likely age group to change their minds on antibiotic use after receiving information about it. Young people in this age group are also establishing their independence and starting to visit their GP without parental support. Combine this with the fact that antibiotic resistance has been deemed a greater threat than terrorism, it’s fair to surmise that school education on antibiotics and resistance should be viewed as essential. The prudent use of antibiotics can help stop resistant bacteria from developing and keep antibiotics effective for future generations, so we really need to teach our future generation about responsible antibiotic use with educational initiatives, such as e-Bug. Donna M. Lecky is the co-author of ‘Current initiatives to improve prudent antibiotic use amongst school-aged children’ with Cliodna A. M. McNulty is published in Volume 68, Issue 11 of Journal of Antimicrobial Chemotherapy. The paper is freely available as part of a special collection of Journal of Antimicrobial Chemotherapy articles to mark European Antibiotic Awareness Day on 18 November 2013. Dr Lecky is Project Manager, Primary Care Unit, Public Health England. She has managed and developed resources for the European e-Bug project and currently acts as the e-Bug international relations officer as well as leading on other research projects. She has also worked on various public health campaigns and primary care initiatives involving hygiene, infection prevention and antimicrobial stewardship and acts as an external expert on Hygiene Education in Schools for the International Federation of Home Hygiene. The Journal of Antimicrobial Chemotherapy is among the foremost international journals in antimicrobial research. Readership includes representatives of academia, industry and health services, and includes those who are influential in formulary decisions. 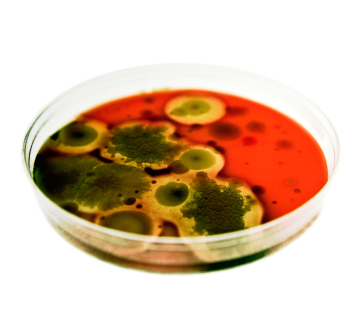 Image credit: Bacteria growing in a blood plate petri dish on white background. © hisartwork via iStockphoto.